Leaving France behind once again, I headed by high-speed train (always love the train!) to Brussels, Belgium, to visit with endurance friends Leonard Liesens and Caroll Gatelier. It's the first time for me (and The Raven!) in Belgium. I'd met Leo and Carol in Malaysia in March at the Kedah ride. Steph has known Leo for many years; they met through Ridecamp, and Steph invited him to come to the US to ride Tevis. They rode together – and finished! - in 1997 for Leo's first 100-mile ride. Belgium, a country the size of Maryland with 10.5 million people, is a country rich in history and culture, art and architecture from Romanesque, Gothic, and Baroque periods. There are more castles per square mile in Belgium than anywhere else in the world. And then there's the world famous cuisine, and the beer and chocolates! There's hundreds of Belgian beers – Belgium lays claim to having the most varied and numerous collection of beers in the world. Beer-brewing in Belgium originated in the monasteries in the Middle Ages, a fine occupation for monks, eh? 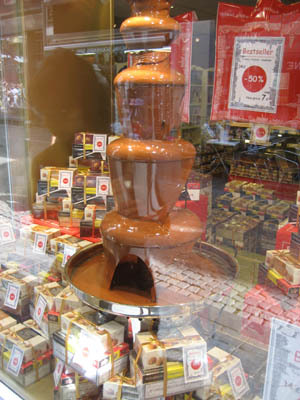 Three leading chocolate makers are headquartered in Belgium: Neuhaus (founded in Brussels in 1857! ), Godiva (founded 1926 in Brussels) and Leonidas (founded by a Greek living in US in early 1900's, but he subsequently moved to Belgium). I will do my best to immerse myself in the Belgian culture by trying as many different beers and chocolates as possible! Belgium is a constitutional, popular monarchy and a parliamentary democracy. I wonder if we can get King Albert II on an endurance horse? The three official languages of Belgium are Flemish (Dutch), French, and German, but many people, especially in the big cities, speak English. The northern part of Belgium, the Flanders region, is more economically prosperous than the French-speaking southern region of Wallonia, which has caused some discontent in the country. 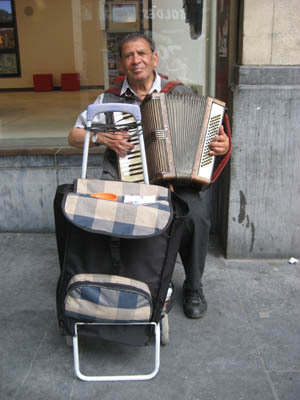 I arrived in Brussels in the northern part of the country to meet Leonard at his work. Brussels developed around the 970's AD , and in the 12th century became an important stop on the trade route between Cologne, Germany, and Bruges, near the North Sea. Belgium is one of the founding members of the European Union, and the headquarters for both the EU and NATO are here. You can visit any number of museums, theatres, luxury and designer stores, historical monuments, art galleries, markets, cathedrals (the St Gudule and St Michael’s Cathedral dates from the 1400's) here. You cannot, however, visit a Starbucks! 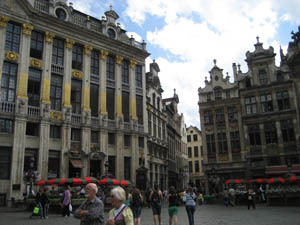 The main centerpiece of Brussels is the Grand Place, with its Baroque and Gothic guildhouses (house guilds of bakers, carpenters, archers, boatsmen, haberdashers), most built in early 1700's. The Town Hall (Hotel de Ville) dates from the 1200's. 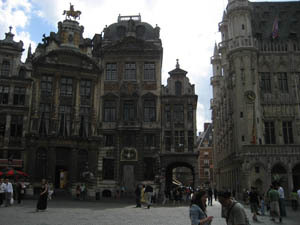 The Grand Place as been the commercial hub of the city since it was built as a market in the 1200's. You can gorge here at the cafes, chocolate stores, and souvenir stores. The Raven will be making an appearance soon on horseback in Belgium, as well as in Brussels as a tourist!